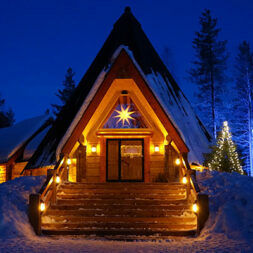 The Lapland Restaurant Kotahovi is a Lappish-style restaurant run by the Körkkö family, located in the Santa Claus Reindeer resort at the Arctic Circle in Finnish Lapland. 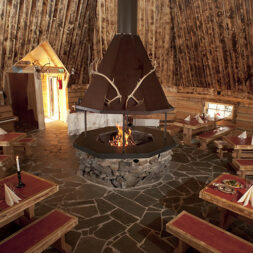 The restaurant gets its name from kota which is the Finnish name for a Lappish hut. 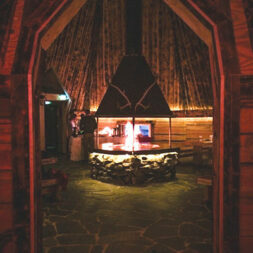 The restaurant, seating over 50 diners, offers typical Lappish dishes and more modern cuisine in a very cozy atmosphere. When visiting Lapland Restaurant Kotahovi, you can also enjoy unique reindeer rides and reindeer safaris. In summertime you can visit the reindeer of Santa Claus. More information about our reindeer activities can be found HERE.